Have a look at who will share their blues spirit with you during the Big City Blues classes. A nice mix of local and international blues talents! Nejc is one of the first new generation swing dancers in Slovenia. He is the main person behind the growing popularity of Lindy Hop, Balboa and Blues in Slovenia. A teacher, choreographer, musician and an organizer for the past 10 years. 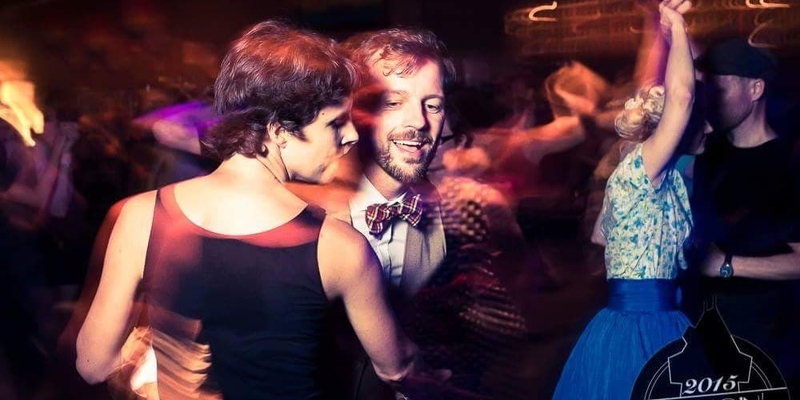 His experiences in teaching with different partners -so he keeps the focus on social dancing and a natural approach – and his years of dance experience makes Nejc a unique teacher to welcome at Big City Blues. Lauren Fekete began her dance career in Ohio, USA where she undertook 16 years of formal dance training in several styles including ballet, contemporary and hip hop. 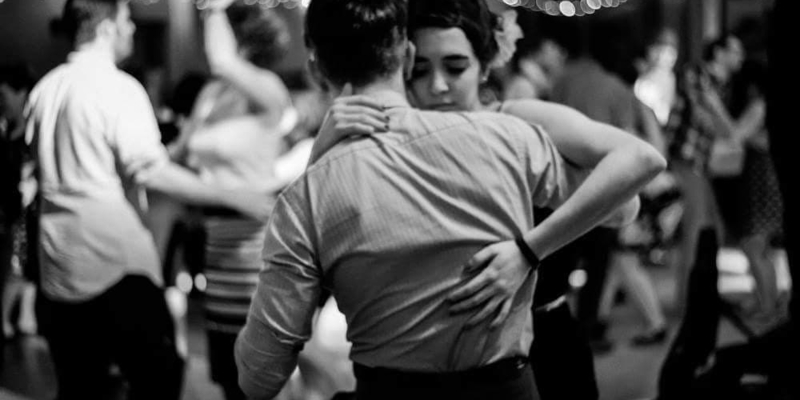 During her higher education she has been exposed to blues, swing, and Argentine tango. Since her first introduction to the style 8 years ago, she has taught blues intermittently in both Scotland and the U.S. and has and travelled and competed at various blues & swing events worldwide. For Jill & Alex, Blues has always been a natural outcome of late nights and slow drag music, when it’s just about sharing and being in the moment. They take a lot of inspiration from Savoy ballroom Blues from the 1950s as well as african roots for solo dancing. They feel that greatest challenge is in letting go and being ultimately uninhibited. Since their first encounter at Lindy Shock in Budapest, Ira and Sep became good friends and regular social dance partners. Recently they have been training and working more together. Their broad interest in ‘the good old vintage dances’ and the different music styles got them also into blues. Get ready to ‘steal’ some badass and elegant dancing from this unique dancing couple. themselves, but also learn about important dancers and their legacy. Els was first influenced by modern dance and since then has been focusing on authentic jazz and blues dance, gaining profound knowledge and abilities in those styles. Inspired by oldies like Sandra Gibson and Mabel Lee, she loves a type of blues dancing that’s both raw and sensual. She is actively teaching for Crazy Legs Dance School in Ghent and is member of the “Steam Heat Cats”. As solo dancer, Sep has a very unique style. He won several competitions in the solo blues and charleston.